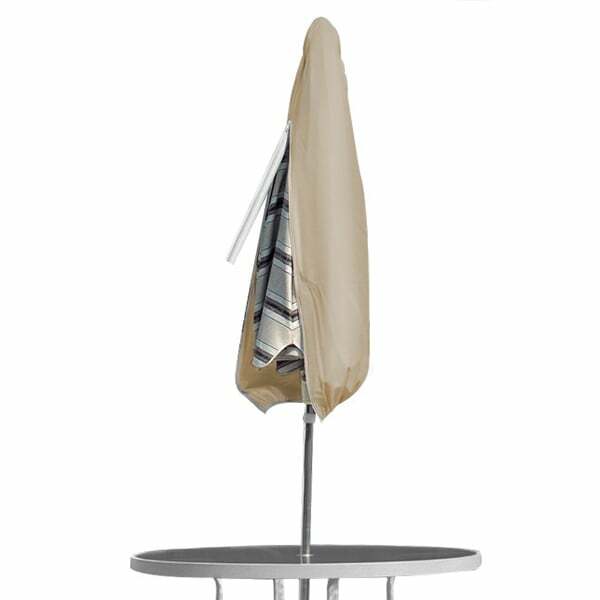 The PCI offering of outdoor furniture covers is expansive. If this version does not match with your outdoor umbrella, explore other pages with different sizes. This version protects outdoor cantilever and offset umbrellas. Manufacturers acknowledge that covering outdoor umbrellas and furniture with a cover will greatly extend the lifetime of use. The Cantilever and Offset Umbrella Cover wraps outdoor umbrellas in a protective casing to keep them safe overnight, off-season or in storage. PCI covers are made with luxurious UV treated vinyl that offers years of water-resistant outdoor protection. The Dura Gard Vinyl is 7 millimeters thick and features a 4 ounce fleece polypropylene backing. The outer layer serves to protect against UV rays, insects, dirt, dust, animals and more. The inner fleece pads the furniture and protects it from damage caused by scratching and rubbing. Whether it’s for one night or one year, outdoor umbrellas are better preserved with help from PCI.